Oxford Chinese Dictionary is the most renowned bilingual dictionary available today. This extensive supplemental material includes grammar notes, example letters and emails, and guides to telephoning and text messaging, perfect for students, or those working in Chinese or English. As one of the flagship products in the Oxford University Press catalog of dictionaries, the app features learning tools designed by a vastly experienced developer. WHAT MAKES OXFORD DICTIONARY OF CHINESE BETTER THAN OTHER DICTIONARIES? • The very latest vocabulary edition, with over 300,000 words, phrases and meanings to ensure accurate translations. • Tens of thousands of regionally specific entries reflecting the unique richness and global adaptability of Chinese. • Produced in association with Foreign Language Teaching & Research Press (FLTRP), using the latest lexicographic methods. • 75,000 audio pronunciations of both common and rare words, including those with varying pronunciations (Premium only). Premium Subscription is available for $14.99/year. The Premium Subscription includes a free trial. After the trial period expires you will be charged for yearly subscription though your Apple ID account. Any unused portion of the free trial period will be forfeited when you purchase the subscription. Your subscription will automatically renew unless canceled at least 24 hours before the end of the subscription period. You can manage your subscription after purchase through your Account Settings. 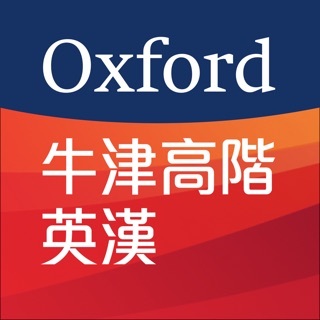 I have found the Oxford Chinese app to be extremely useful with none of the issues mentioned by the one star rating above. This is by far the worst app I have ever tried to use. Completely unusable. Pop up ads that you cannot close abound. Full screen commercials start running with no way to close them. Really disappointed in what I used to think of as a reputable company. When you look up an English word, the Chinese translation doesn’t include the pinyin, so you can’t look it up, or even pronounce it unless you’ve memorized all the Chinese characters. And in that case you wouldn’t need the dictionary.